11Returning to the NFL sidelines? 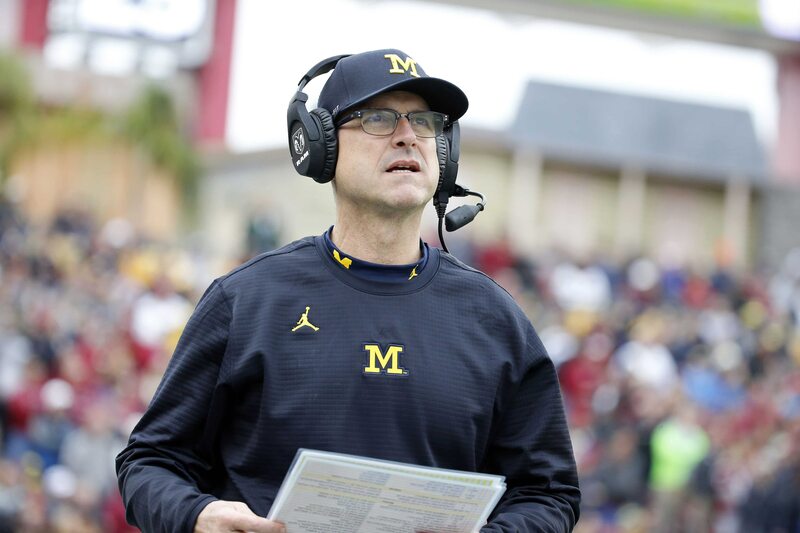 Whispers around the NFL now consist of the possibility that Michigan head football coach Jim Harbaugh might bolt the Wolverines after four seasons. It wouldn’t be an absolute shock if Harbaugh did in fact leave the program and return to the NFL sidelines. He lasted exactly four seasons with both Stanford and the San Francisco 49ers before returning to college back in 2015. An interesting personality has led to clashes with powers to be in the past. Whether that’s the case at Michigan remains to be seen. But one thing is clear. Harbuagh would garner a ton of interest if he did indeed decide to bolt Ann Arbor for the NFL. Here, we rank the most likely potential landing spots.